The CamRanger and the CamRanger Mini are not new to the photography community with the original CamRanger being released in September 2012 and the Mini being released in August 2018. Yet the use of the CamRanger Mini is new to me, so I was very excited to receive the unit for this review and to see if I thought it would help me in my quest to start utilizing remote cameras for my work. 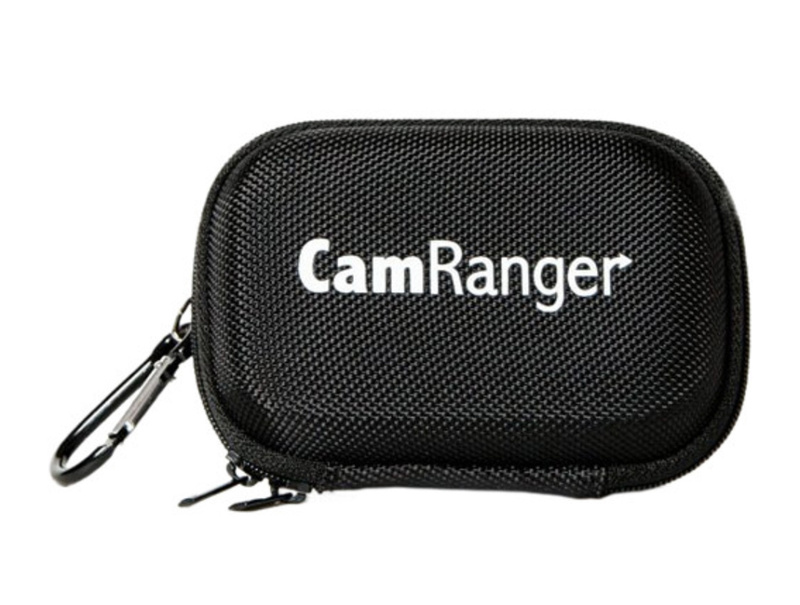 The CamRanger Mini comes with the small unit, two cables, and a very nice semi-hard shell case. The unit itself is about 3.75 x 1.25 x 0.75 inches (95mm x 32mm x 19mm), so the use of the word "mini" in the name is appropriate. As mentioned it also comes with two cables, a USB cable for connecting to the unit to the camera, and a USB charging cable. The semi-hard shell case has two interior pockets to hold the cables and the unit itself. The case has a small, lightweight carabiner on the exterior of the case. I like this little feature since I can use the unit in the case and then hang the case from the camera or some nearby support. This gives a little extra protection to the unit especially when dirt and water are present, like at many action sports events. 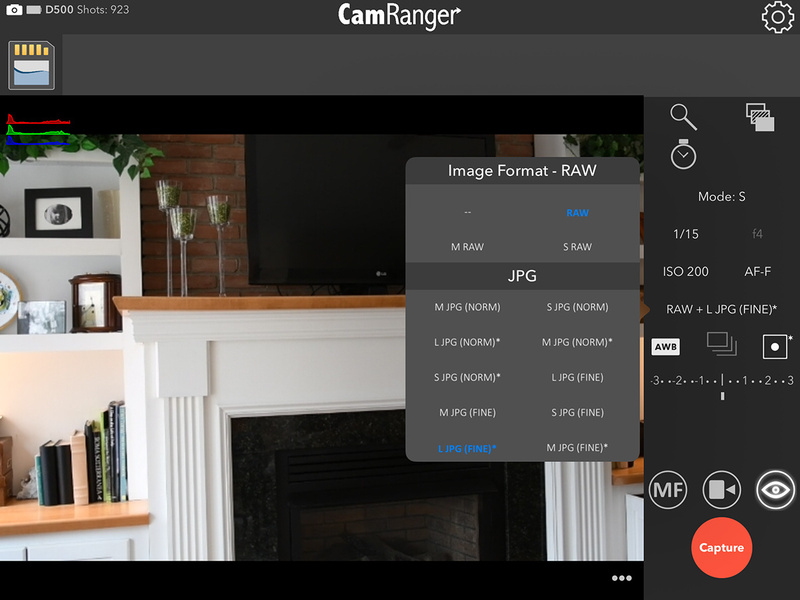 The unit requires the user to download the CamRanger Mini app for use on your tethering device, such as an Android, iPhone, or the iPad as I was using. The app is simple and easy to understand right away. It also includes a user manual right in the app, but it's is so easy to use you won’t need the manual after the initial setup and your first use. Though it is nice to have in case you ever forget and don’t have the little paper manual with you. Setup of the CamRanger Mini network is straightforward as it should be. I recently set up a WiFi connection for the Nikon Z6, and it was nowhere near as easy as setting up the CamRanger Mini WiFi network. The Mini was so simple and felt like any modern hardware-software should be, while the Nikon Z6 felt like it was something out of the 1990s. When out on location I don’t want to be going through a dozen steps to set up the tethering tool and a WiFi network. 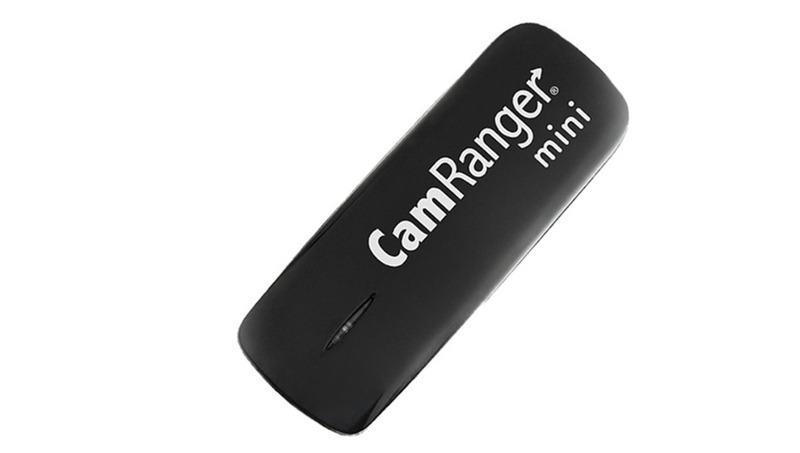 Once the network is established and you have connected your tethered device to the CamRanger via the app, all that needs to be done is to plug the CamRanger Mini into your camera and turn the camera on. Now the Mini is ready to control the camera and provide images on your tethered device of the photos taken. The Mini does not store the actual images on the tethered device; it simply stores a preview in a cache on the tethered device. 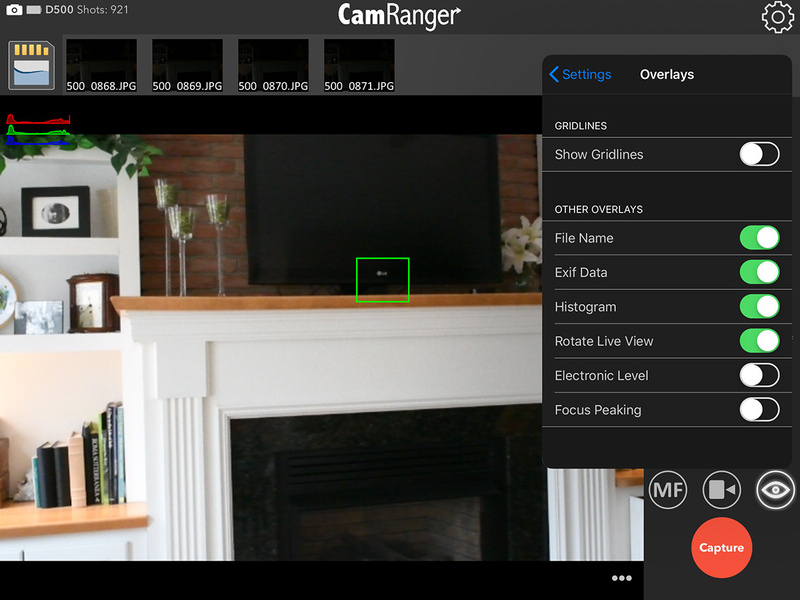 So how well does the CamRanger Mini actually perform? To find out I set up my Nikon D500 on a tripod in my living room and ran through the different app controls. As I mentioned earlier, the app is simple to use and is rather intuitive in how its setup. I had no problems adjusting the ISO, shutter speed, aperture, exposure compensation, and adjusting white balance. Using the live view, I was able to change the focus location by just tapping the screen quickly. As I was shooting, I really appreciated the film strip of previous images displayed across the top of the app’s screen. I also enjoyed that with one tap of the memory card icon, I could see all the pictures on my memory card within the CamRanger Mini app. I was impressed with how easy it was to use, the amount of control over the camera I had, and the amount of information from the camera that displayed in the app’s screen. As I continue testing the different controls, the last camera feature I tried was continuous shot mode. I could adjust the shooting mode right from the app, so I first tried my camera’s highest setting of 10 fps. When I tapped the capture icon in the app, I noticed the camera still only shot one frame even though I was in continuous burst mode. If I tapped the capture icon quickly, I could get a 2 and sometimes 3 frame burst, after which the app would stop capturing more frames until the image was transferred to the cache. This usually took about 10 seconds after the final frame was shot. This was the first issue associated with the CamRanger Mini that I was disappointed with because for me shooting action sports the burst mode is a critical feature of a camera. Another essential feature of the CamRanger Mini for me was the range of the WiFi network. To test this, I set the camera on a tripod outside my house and walked down the street with my iPad. Luckily none of my neighbors called the police on me as I walked up and down the street staring at my iPad. Every 10 yards or so I would take a photo just using my iPad. This was when I ran into the second characteristic of the Mini that I was disappointed in for my own use, the range of the WiFi network. As I walked up and down the street shooting away, the first thing I noticed as the distance increased was an increase in time for the images to show up in the app. Not only did it take time for the images to load it also locked me out of taking another shot until the image was loaded. Once I reached about 70 yards, I lost connection with the camera altogether. Now 70 yards isn’t a distance to sneeze at, but it also isn’t that far either. For me, I was hoping to get perhaps 100 yards of range. Now I do live in a neighborhood with lots of WiFi networks bouncing around, so maybe I might get a bit more distance out of the Mini network without these other networks. However, I shot a lot of Supercross racing in major athletic stadiums in the U.S. and they are filled with WiFi networks of all kinds so I have to believe the 70 yards I got in my neighborhood is going to be the best I can hope for. I admit that for my own use I’m hoping for a lot out of a piece of hardware that costs only $200 and is easy to set up and use. For many shooting wirelessly tethered, especially in a studio environment, they may not demand as much from the hardware and software. I also do some product and food photography where I can see how the Mini would be a tremendous help. I wouldn’t need to use the timer on the camera to ensure the camera or tripod doesn’t move when I touched the shutter release button. Just tap capture icon on the app on the tethered device and no more concern about movement or waiting five seconds for the image to be captured. Also, I now have a nice large screen that I can view the image at 200 percent to check my focus. CamRanger has announced the CamRanger 2 will be released sometime in 2019 and will feature speeds of 5 times faster and a usable range of over 3 times farther. 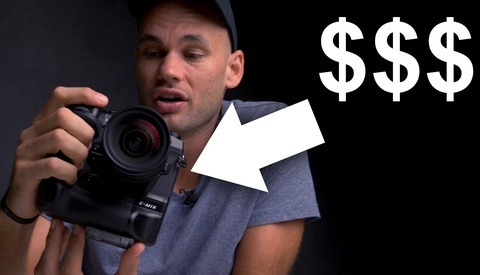 So should you buy the CamRanger Mini or wait for the announced CamRanger 2? Well, I think that depends on the environment you plan on using the device. If you are in a studio environment and don’t need higher burst rates, the CamRanger Mini is an excellent piece of hardware and software. If you are like me and are looking for more range and speed, you might want to hold off to see how the CamRanger 2 performs. Or perhaps what I’m most likely to do, buy the Mini for my studio work and try to get my hands on the CamRanger 2 for a test when it's released sometime this year. I'm a heavy user of the original CamRanger and I'm excited for the CamRanger2. The mini looks mini in every way including functionality, that's fine as a different product that doesn't meet my needs. However, the user interface of the mini, what seems to be what is going to used on the CamRanger2, looks horrible and clunky. While the original was ugly (and could use some work), it was very functional. I've used the CamRanger from release. So far the most reliable wireless tethering option I've used. Usually only in studio though so hardly pushing it to limits as you sports or event guys. I particularly like it when I'm doing overhead work. The camera up high and full connectivity, live view and focus options, absolutely unmissable. I was going to look at getting a Mini, probably wait for the CamRanger2 though. I do hope they clean up the GUI. It's always looked clunky and cheap. 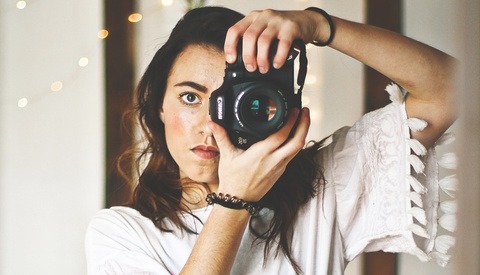 Nice write up on your experiences! Thanks. Nifty, giving this a good hard look. I'd like something to give me better preview for video work because the little display on the back of my 7D isn't great. Reviewers say battery life is an issue. Their site says 'Battery is not replaceable', so you can't carry spares. It doesn't appear to have interval shooting, which is surprising. One of the main reasons I'd buy this (or maybe not). You can power the original version with a powerbank while in use, I suppose it is the same for this one. I use it a lot, one of my most used 'gadgets'. Sadly it's only for Canon or Nikon. An important limitation of the system. 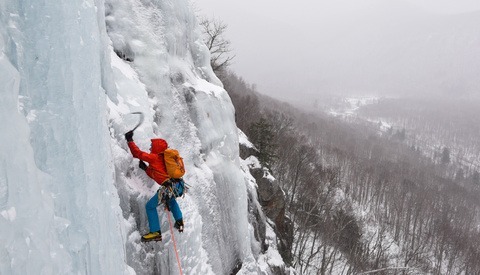 The market is evolving, sure Canon and Nikon have great camera's - so do others. Their site says that version 2 will also be compatible with Sony & Fuji. I almost bought this until I read that it would only work with tablets and phone, and not to a laptop. I wanted a wireless tether, which I understand the original version could do, but unfortunately the mini does not. The original is no longer available either.